Image: Emerging Dancer 2018 Finalists © Photography Laurent Liotardo, post-production Nik Pate. 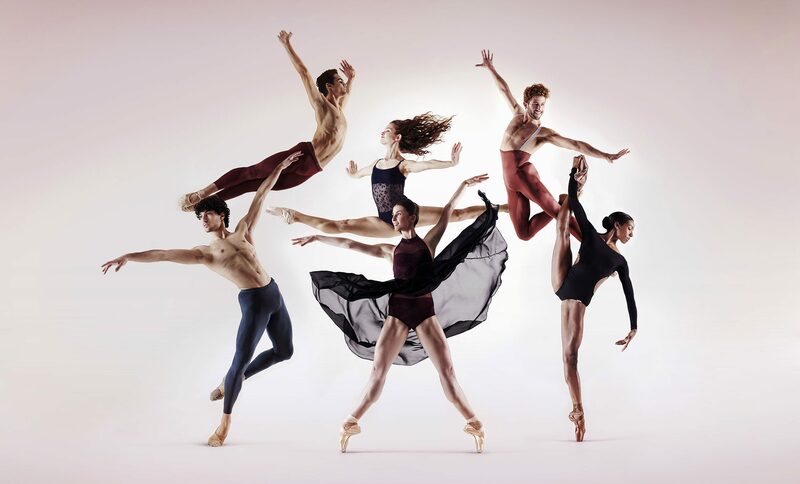 The ninth annual Emerging Dancer competition will be live streamed from the London Coliseum on Monday 11 June 2018. Hosted by actor and dancer Will Kemp, this special event celebrates the talent of six of our most promising dancers, and concludes with one being awarded the 2018 Emerging Dancer Award. Precious Adams © Laurent Liotardo. Audiences at the theatre, and those watching the live stream from home, will be able to view the full programme of performances and gain further insight into the competition with video interviews of all the artists involved. The live stream broadcast will be available online for 24 hours. Last year’s live stream was viewed over 80,000 times worldwide. Fernando Carratalá Coloma © Laurent Liotardo. The recipients of the People’s Choice Award, voted by the public between September 2017 through to April 2018, and the Corps de Ballet Award, awarded to an exceptional Artist of the Company that has gone beyond the call of duty, will also be revealed on the night. Giorgio Garrett © Laurent Liotardo. Daniel McCormick © Laurent Liotardo. The finalists will perform a classical pas de deux, followed by a contemporary solo. This year sees Precious Adams and Fernando Carratalá Coloma performing Petipa’s Harlequinade pas de deux; Francesca Velicu and Daniel McCormick perform a pas de deux from English National Ballet’s Le Corsaire; and Connie Vowles and Giorgio Garrett perform a pas de deux from Bournonville’s William Tell. See the solo repertoire here. Francesca Velicu © Laurent Liotardo. Closing the night’s festivities will be last year’s joint Emerging Dancer winners Aitor Arrieta and Rina Kanehara performing the pas deux from Act III of The Sleeping Beauty, while the winner of the 2017 People’s Choice Award, Georgia Bould, performs an extract from La Sylphide. Connie Vowles © Laurent Liotardo. Tune in to the live stream from 7.20pm BST this Monday 11 June via Facebook, YouTube and Twitter. You can also be part of the audience at the London Coliseum, tickets are still available. Please note: casting, repertoire, judges and host are subject to change. 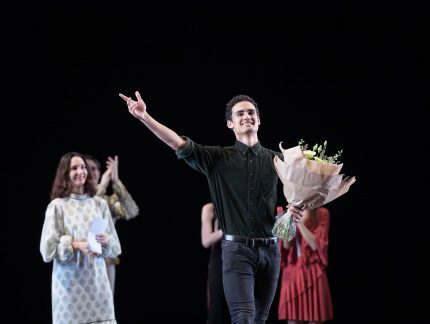 Last night, we were pleased to announce the winner of the 2018 Emerging Dancer Award is Daniel McCormick.